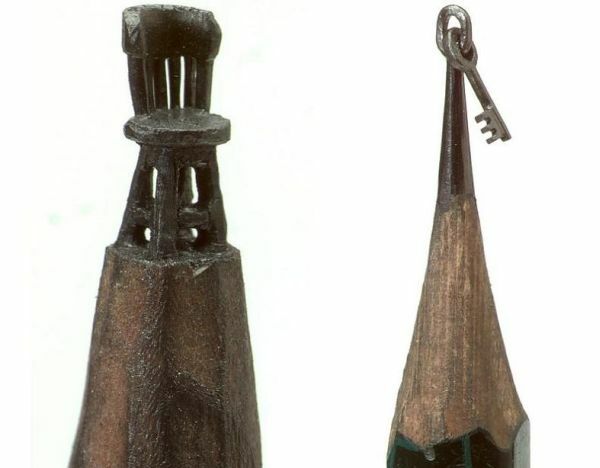 Here’s something to flex those fine motor skills – pencil lead carving. Dalton Ghetti is a US-based carpenter and also a sculptor – his canvas? 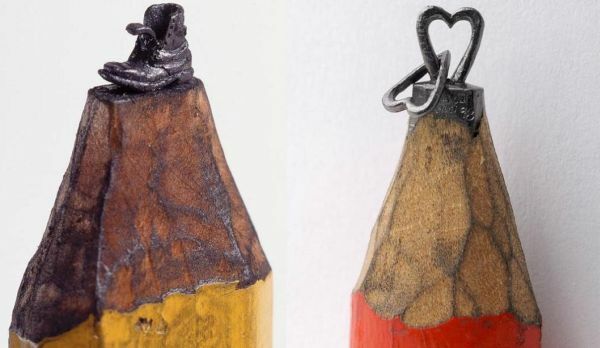 The tip of a lead pencil! 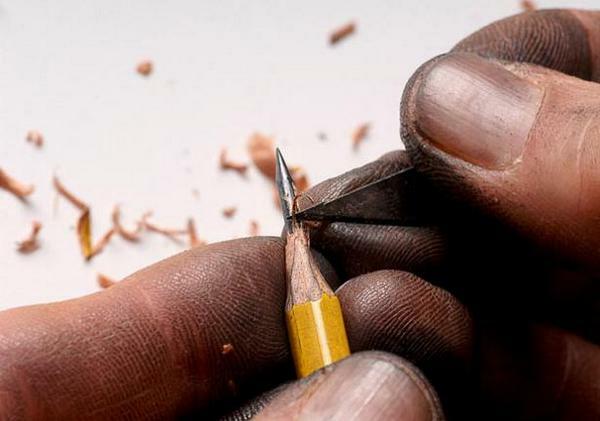 Using a sewing needle, a razor blade, a sculpting knife and a carpenter’s or No. 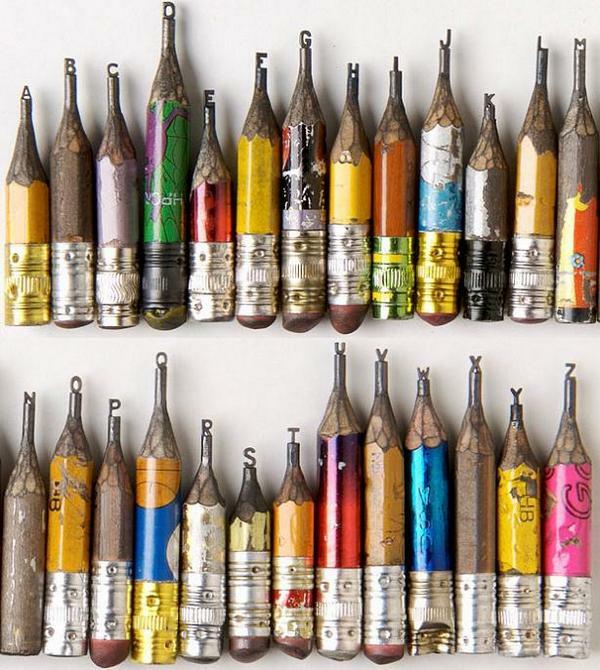 2 pencil, Ghetti creates the most amazingly delicate and intricate carvings – without the aid of a magnifying glass. 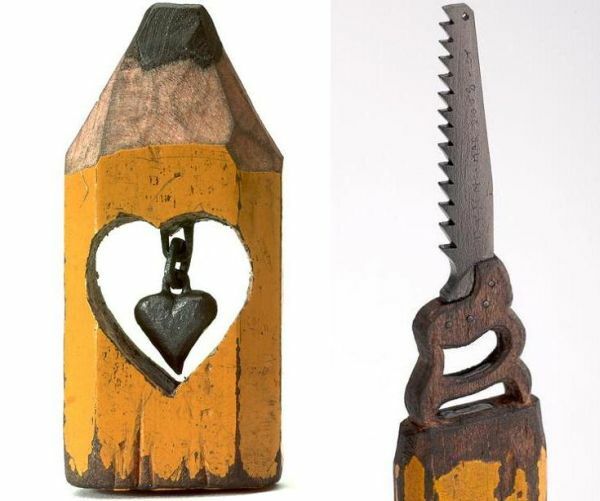 Ghetti likes working with graphite because it “…cuts in the same direction, not like wood, which has a grain”. And if the tiny sculptures aren’t incredible enough, it is stunning to discover that some of the pieces have taken years to complete. Yes, years. On average, a standard figure takes several months to complete however larger projects, such as the alphabet collection (shown at top) took two-and-a-half years to carve. 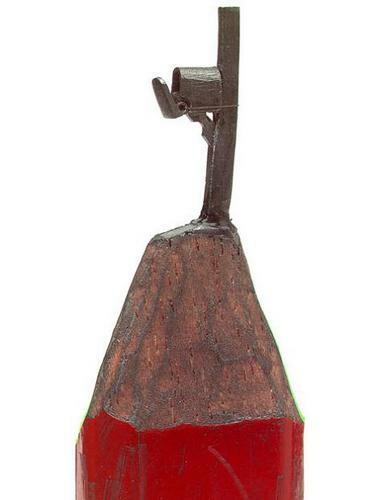 Ghetti’s sculptures are not for sale, instead he gives them to friends. He also never buys pencils – (hopeful!) friends collect them for him.